Francois Hollande has secured 28.63 per cent of the votes cast in the first round of the presidential elections, with all the ballots counted. 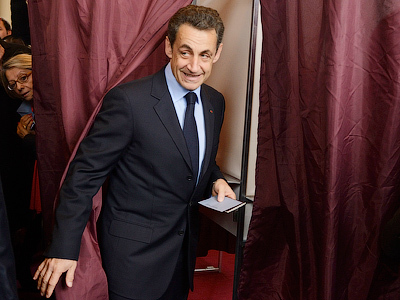 Nicholas Sarkozy is trailing his Socialist rival with 27.08 per cent of the vote. Far-right candidate Marine le Pen has secured third place with 18.01 per cent of the vote, according to figures released by the Interior Ministry. Left-wing hopeful Jean-Luc Melenchon has got about 11.13 per cent of the ballots. The other six candidates delivered modest single-digit results. After the preliminary results were announced, Hollande delivered a speech to a crowd of his cheering supporters in his hometown of Tulle. 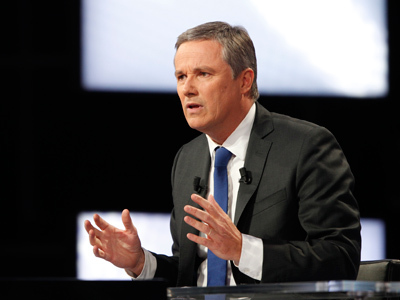 He said he has become a candidate of all the French people who want to turn “a new page” in the history of France. He also pledged to reduce country’s debt, boost economic growth, and unite the people of France after the “divisive” rule of Nicholas Sarkozy. The turnout in the ballot has exceeded 80 per cent, despite fears that up to one third of the electorate might ignore the vote. 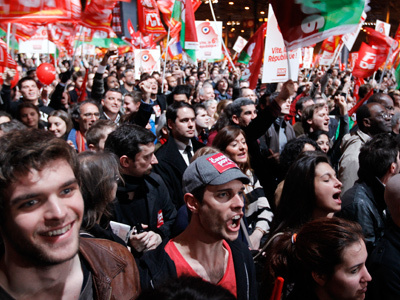 For comparison, the first round of the 2007 French presidential election saw a record high turnout of 83.8 per cent. With all the votes now counted, preliminary results correspond to the results of the pre-election surveys, which suggested Hollande would win by a small margin. 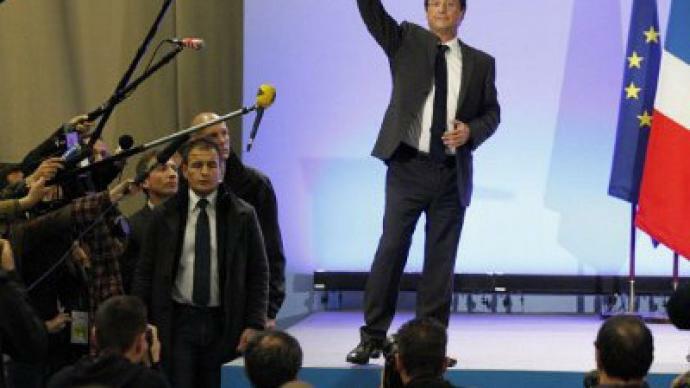 Hollande and Sarkozy are due to meet head-to-head in the run-off set for May 6. According to the polls, Hollande is projected to win in the second round. But the run-off may bring some surprises with so many votes secured by the candidates who trailed behind in the first round. Millions of French have cast their votes at the polling stations to determine the future of France for the next five years, with the candidates themselves casting their votes during the first hours of the election on Sunday. Francois Hollande, said this election will “weigh on the future of Europe,” as he cast his vote. Gulliaume Kalfon, an editor for the news website contrepoints.org believes Nicolas Sarkozy will have a tough time trying to persuade both the far-right and centrist electorate to vote for him. Kalfon also noted that Sarkozy’s and Hollande’s economic programs appear to be dead ringers. ­The far-right National Front has received record support with more than 18 per cent of voters casting their ballots for Marine Le Pen. One of her aides, Ludovic De Danne, told RT that the result shows that many voters have really heard her message on several topics, not only about immigration and security but as well as social matters, the future of Europe, the monetary question and international policy. Le Pen’s trump card against both Sarkozy and Hollande was a call to give up the euro and go back to the French franc, according to De Danne. “We propose to have the euro as a common currency for big businesses and big exchanges but to have the French franc as an everyday life currency,” he said.